It can take a Piper upwards of 45 minutes to put on her shoes before school. The stalling is excrutiating. Eating broccoli can be an hour long affair. Writing her name requires multiple bathroom breaks. As frustrating as it can be to get a Piper to do anything she doesn’t want to do, you have to admire her commitment to non-violent resistance. She’s a master. It’s sheer will. But this afternoon when I asked, “Piper, do you want to go with Sissy and her friends for cupcakes?” all I saw was a blur of light I assume was my child speeding out the door. Her shoes were on. Her coat was on. And zipped. She was halfway to the car. Clearly, it’s the cupcakes. 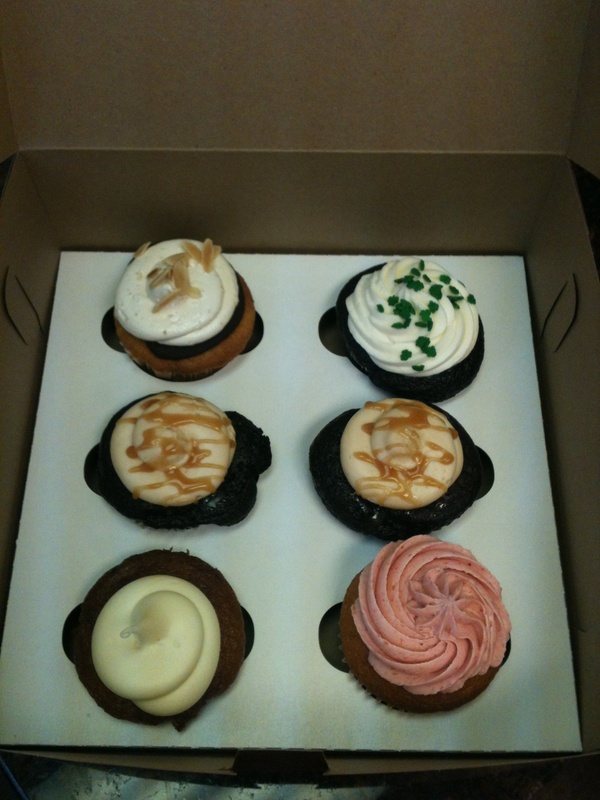 Our local cupcakery won Food Network’s Cupcake Wars shortly after we moved to town. We don’t flatter ourselves to think the two events we’re related, but we’re happy to share in the benefits. It’s become our pilgrimage. When we celebrate, we go to Cake Dreams. When we’ve had bad days, we go to Cake Dreams. When the Dancing Queens perform in their school’s talent show, we go to Cake Dreams. 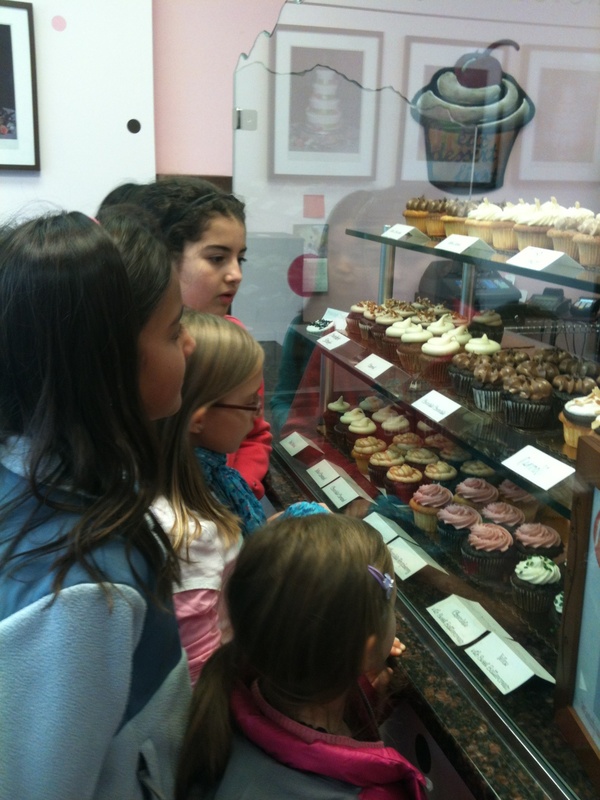 It never takes Piper long to make her cupcake selection. It’s always the one with the sprinkles. She knows exactly what she wants. 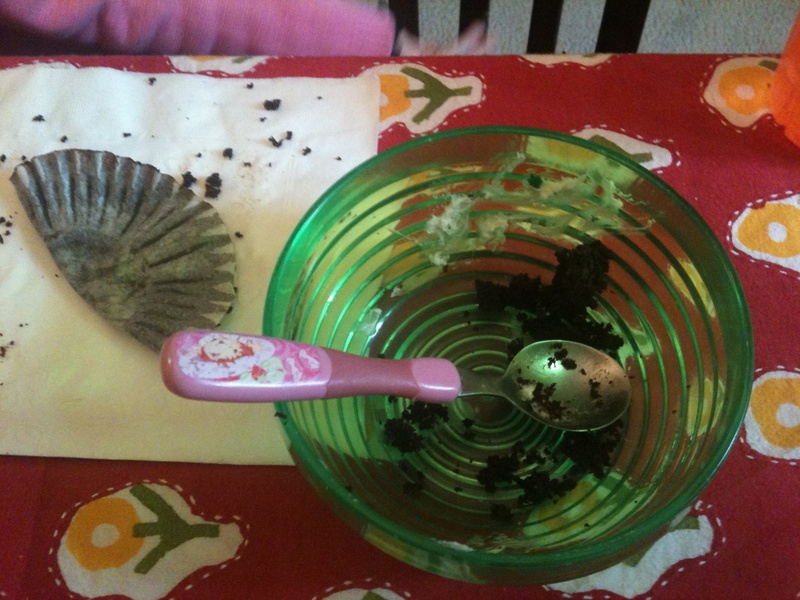 …was gone in ten seconds flat. Cupcake time must have its own clock. This entry was posted in Antics and Adventures and tagged cake dreams, cupcakery, cupcakes, dancing queens, eating broccoli, piperism, sprinkles, stalling tactics by melissa.scholes.young. Bookmark the permalink. Looked like she made it home before eating it. What will power she has. Cupcakes in the car are too messy. If Cake Dreams had a cafe, we’d eat them there. Should I bring you some? I move at cupcake speed for croissants at my favorite bakery. My daughter would be jealous- she watches Cupcake Wars. Doesn’t the broccoli get cold if it takes an hour to eat it? The broccoli is cold and undesirably gelatinous. Piper doesn’t seem to mind. We usually have two green vegs and she gets to choose. She always chooses broccoli and then complains bitterly. She’ll sit at the table happily for hours. It drives me insane. Then I tell her she has one minute to finish or else…and she stuffs in the cold, gelatinous broccoli and clears her plate from the table. Now we have cupcake envy! 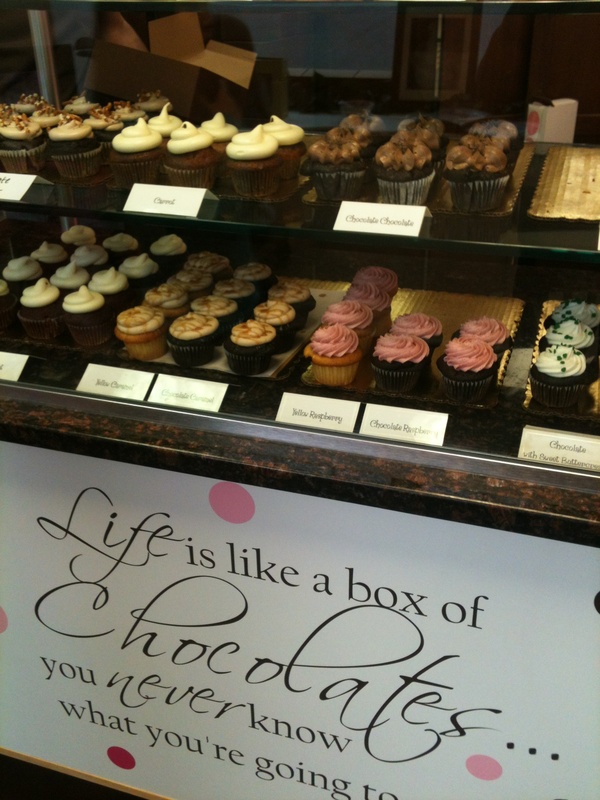 Only one cupcake shop in our town, and only six flavours per week. Maybe you should see if cake dreams could make broccoli cupcakes! That is an awesome idea! They’d probably candy the broccoli, though, but that still counts, right? And aren’t you tempted to bribe her with cupcakes to get her shoes on faster in the morning? Don’t do it! But if it were me, I’d at least think it. I’m tempted, but I’m more of a threatener than a briber. I used to have this threat that “Mommy will scream so loud my head will pop off,” but my kids would just laugh at me. I’m a lot of things, but I’m not a screamer. The humor usually distracted them from whatever trench they’d imbedded themselves in and moved them to action. Ok, you talked us into it. 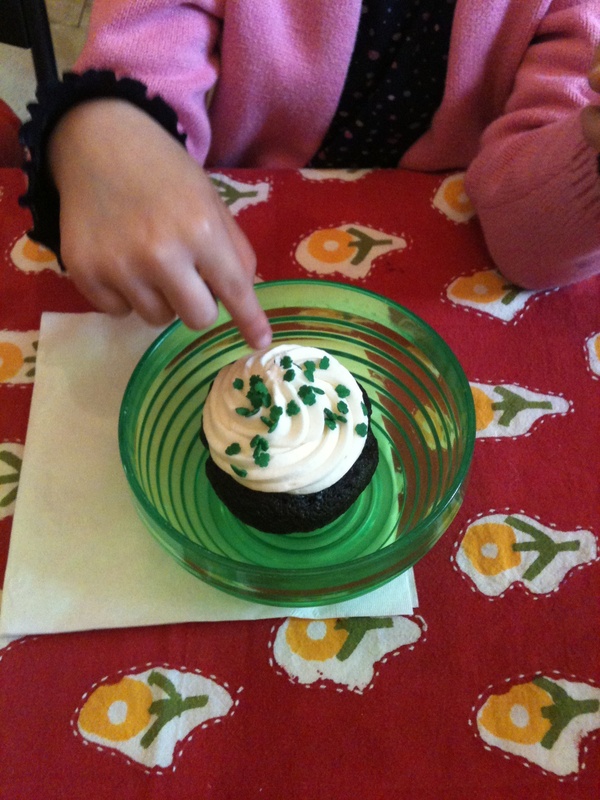 Next time we visit, we are so breaking our Paleo diet to enjoy a cupcake a la Piper. Surely the gods have invented a gluten free cupcake, but I’ll take any excuse to get you here.